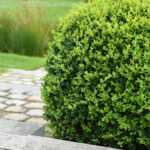 This plant is suitable for use as a foundation shrub, mass planting, or screening. It should be planted in protected areas in regions that are known for colder temperatures. 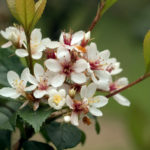 The Indian Hawthorn prefers well-drained soils and sunlight to partial shade. After planting, water often at first, thoughthey can tolerate moderate drought once established. These often-seen shrubs grow in most southern neighborhoods. 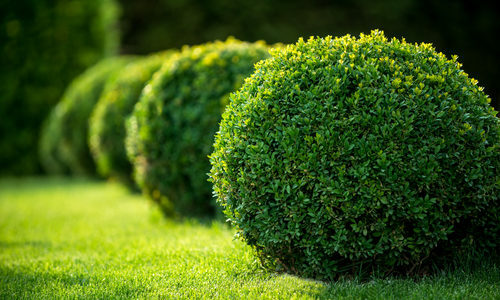 Because they have extremely shallow root systems, you need to plant boxwoods in well-drained soils. 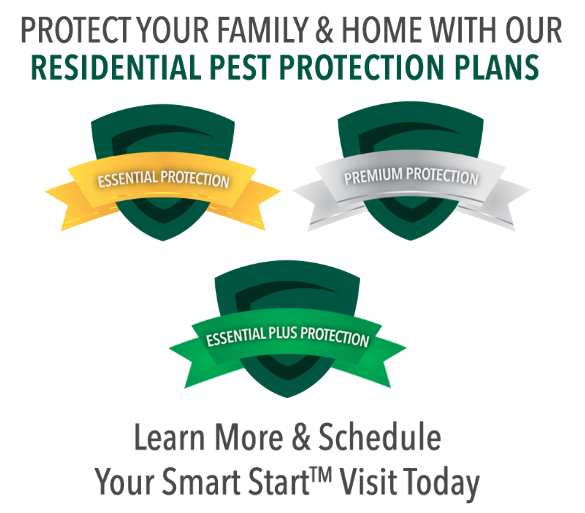 Never plant them close to downspouts or areas that stay wet. Thin out from the inside of the plant first when pruning. 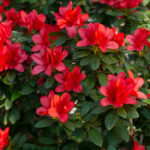 A popular southern choice of flowering shrub, the azalea needs partial sun with well-drained soil in an area where it will not have to compete with other flowering shrubs. Water overhead in the morning. Mulch in spring, not fall. Wait until after they bloom to fertilize. 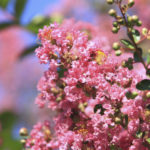 Crepe Myrtles fill the Southeastern states with beautiful flowers in late spring and summer. Plant them in the sun with good air movement and moderately fertile, well-drained soil. Prune them in winter or early spring since they bloom on new wood. 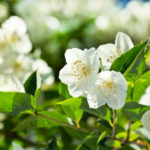 A great use for jasmine is to plant it near your house or a walkway, so you can enjoy it’s intense fragrance. Don’t forget that all Jasmines prefer full sun to partial shade. They grow well in regular soils but don’t plant them too closely together, so they have room to grow. Prune them after blooming. This plant is often used in southern landscapes because they tolerate extreme soil and climate conditions while requiring minimum maintenance. They tolerate fairly dry conditions if you give them good organic soil from the start. Prune only to rid of dead branches. This one is an easy shrub. 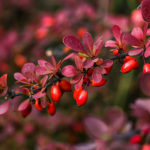 These red-berried shrubs are good for foundation plantings or low-lying hedges. 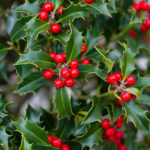 All hollies grow in full sun to partial shade and do best in slightly acidic soil. They do not like a lot of nitrogen, so remember this when choosing the type and amount of fertilizer you use. Pruning times vary depending on the type. 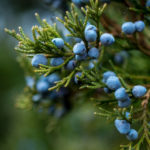 This low maintenance evergreen can handle the cold as well as the warmer temperatures. They like full sun and good drainage. The amount of prunion required depends on how large you want it to grow, but it doesn’t require it often.